All too often in our business, we are thrust into a job in which we either have no time for or cannot afford lighting tests. I find that these gigs force me to fall back on my old tricks and techniques. This can lead to the dangerous place of shooting stuff that all looks the same. Sure, you can try out new ideas on personal projects, but sometimes, the job calls for stuff that you don’t own or cannot afford to get. Usually, when planning a shoot, I have great theories and fantastic ideas on how to pull off a look. However, the idea of winging it in front of a client is stressful and often produces panicked results. Talk about a nightmare! Enter the importance of testing. What is the proper light for this scene? How do these colors look together? Will it help to use a filter? How can you know these things without testing? How many of you hunt for lighting or coloring ideas on Vimeo? Do you scour through other shooters' work, looking for a style that fits your project? Do you watch behind the scenes videos or read trade magazines on what tools they used to create it? Is it a surprise that so many pieces look the same? Imagine. Just shut your eyes and imagine how the story looks. Is it natural light? Is it sculpted? Maybe it's mixed color temperatures? Is it contrasty? Ok, so now you see it. You have an idea. How do you show that idea to the client? At our company, McFarland & Pecci, we are asked to create a pitch at least once a week. A client will need a treatment and a mood board. They want to see exactly what you are thinking before they buy it. This can be incredibly frustrating, because most of the time, our ideas don't exist. They haven't been shot yet. Sure, I can find something that might come close — just close. It’s usually an example with just a piece of it that works. Do you see how the light comes through this window in the background? Yes, I know we aren’t shooting cars; just don’t pay attention to the car in the shot. Oh, you can’t? Sigh. These found “examples” are immediately flawed because they come with a preconceived notion or some irrelevant distraction. The examples might be from something that the client has seen before: maybe a still from a popular movie or a photograph used to promote something else. So, you run the risk of having the client become swayed by or attached to that other project. I've found myself battling the preconceived notion of images I've used in pitches, and sometimes, I end up trapped by those looks on set. Sometimes, I'm forced to shoot looks that aren't mine. This is why I have started to budget for lighting tests. I don’t ask the client to do them; I tell them that we are doing them. It gets rolled into the pre-production budget, and in the long run, it saves time and money. Side note: Make sure you are budgeting your jobs correctly. Pre-production includes conception time, lighting tests, and gear checkouts. Don’t skimp on this stuff. Your shoots will run so much better. These tests allow me to flesh out my ideas. They allow for the client to discoverwith me, often being a part of the process. Ultimately, they know exactly what I'm thinking. Here is a prime example. 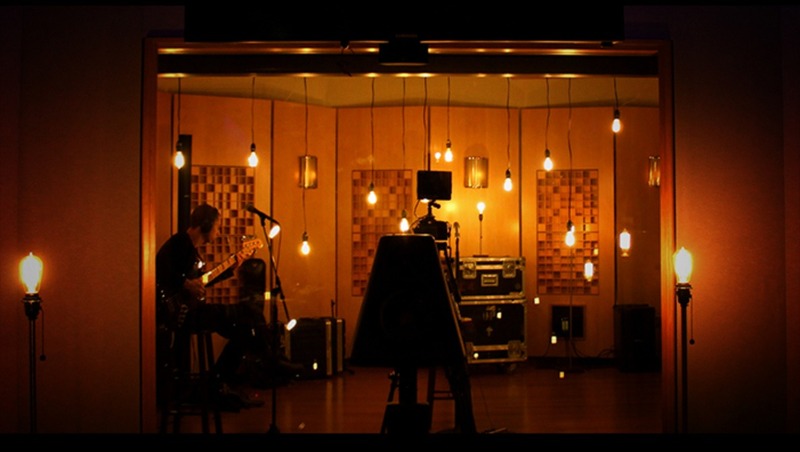 Last year, I was asked to direct the Better Sound Sessions series for Bose. 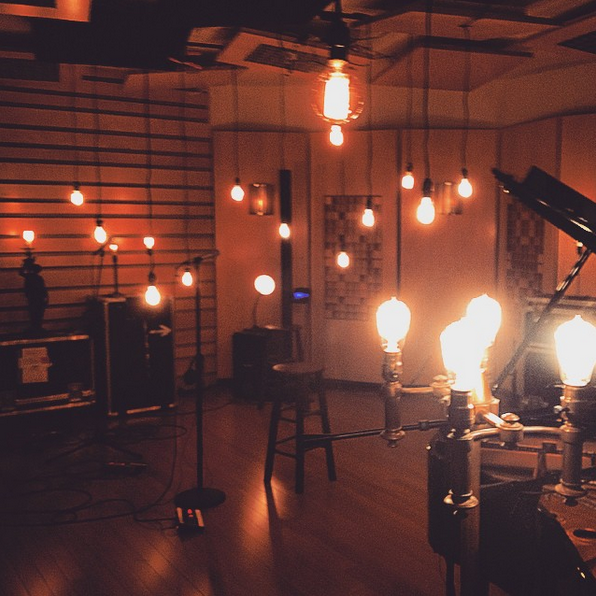 It's essentially a mini-documentary and recording session that takes place with an up-and-coming artist. 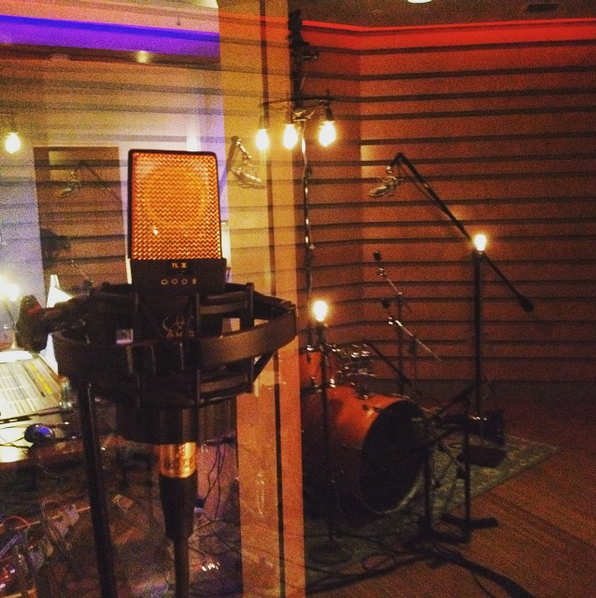 We shoot at a state of the art recording studio at the double secret Bose headquarters. We generally have about eight hours to film two songs live (music video style) and do an intimate interview with the artist. I was determined to make it look fantastic! I had to keep in mind that the focus of the day was definitely the audio recording, so I needed to design a setup that wouldn’t conflict with their recording process. 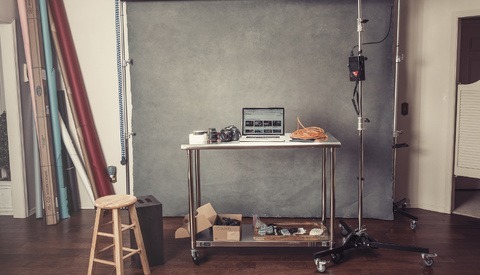 As beautiful as the studio is, it's not very suitable for lighting: low ceilings, white walls, and no room to hide lights. I also knew that to get the coverage we needed for the edit, we would need to shoot with at least four cameras at once. We also had to consider that we would only have time for the band to perform the song five times! 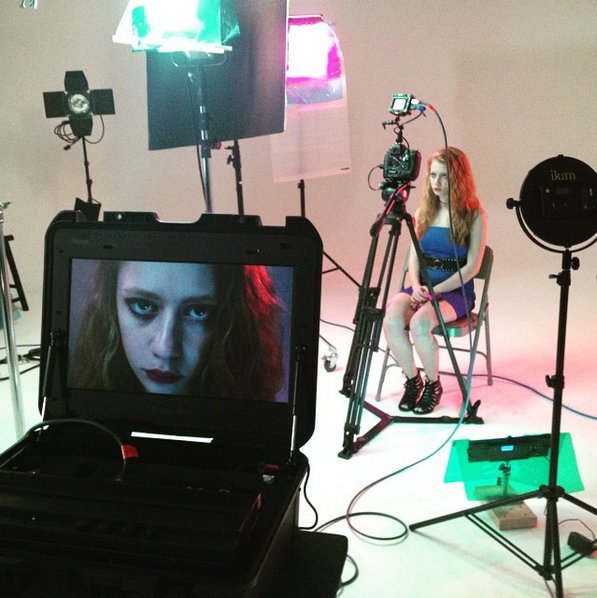 Most music videos have the artist perform at least 15 times. The trick would be to move each camera between every take. Each of the four cameras would get a new angle, giving us a ton of dynamic coverage. Remember how I told you we only had eight hours for it all? That meant we had no time to adjust lights. I had to design something that looked awesome at any angle, but also spoke to the genre of music we were recording. The first episode was on Seinabo Sey, and her music felt very classic. Hell, they were using a grand piano! My first thought was to light it to look like a warm piano lounge meets a candlelit Stanley Kubrick scene. Using candles was out of the question, so I went with the next best thing: Edison Light bulbs, the super cool clear light bulbs with different filaments inside. They wouldn’t just be used as props, but would also serve as key lights for the piece. Would they give off enough light? How would their natural color look on film? They naturally give off a warm, amber glow that is almost like firelight. A single bulb wouldn’t be enough for lighting, but fill a room with over 50 of them, and it works perfectly. We also got our hands on a bunch of antique floor and table lamps that we could put on road cases or scatter around the drum set. The bulbs themselves were beautiful and made for fantastic detail shots, plus we could shoot through the glass, distorting the image and helping fill in negative space. They were cheaper than an expensive lighting package. We shot a quick test, and the client loved it! They green-lit the idea without question. I was able to show the crew exactly what it would look like and had worked out all the rigging kinks before we got to set. The final piece was lit almost completely with the Edison bulbs, occasionally setting up a 650-watt tungsten, bounced for some ambience, and it looked gorgeous! Thank you, light tests! After completing the lighting on the Seinabo Sey episode, the one issue I did have was shadows. Because there were so many sources of light, I would often get unwanted shadows on faces. This had us shutting off specific lights to try to control it, but since cameras were everywhere, I couldn't shut off too many. The next episode we shot was on the band Beat Connection. These guys have a really playful electronic sound. It needed to look completely different than the first one, but had to fit into the theme we had set. That meant the Edison bulbs had to stay, but I didn't want to use them as my key. The first idea that came to mind was vividly colored fluorescent tubes! This will be the first of multiple articles I am writing on lighting for live session music documentaries. After each one I have finished, I walk away having learned something new, and it’s my goal to share these experiences for you all to learn from as well. Read about more in my next article! Great article Mike! I really enjoyed it. I like hearing about the challenges people face on set, both ones they knew about and the unexpected, and how they dealt with them. Always something to take away from those stories and apply to my own work. Looking forward to future instalments of this series. The repeating 3-second video clips are very distracting and make it really hard to read this article. I thought it might have just been me! I had to scroll so that I could only see the text on the page and not the gifs! Thanks for the article though, really enjoyed it, and what a voice that young lady has!